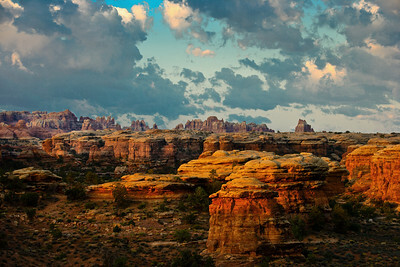 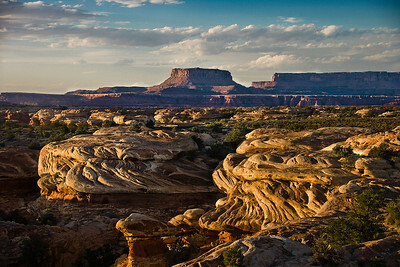 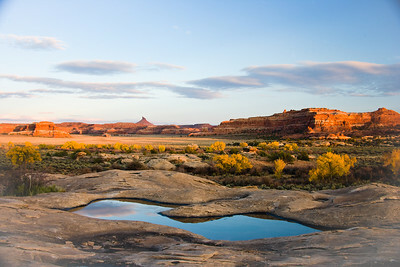 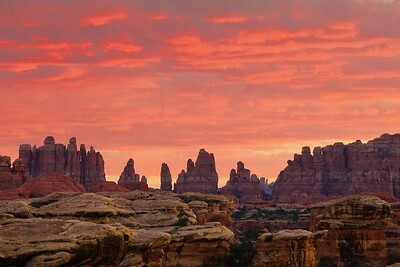 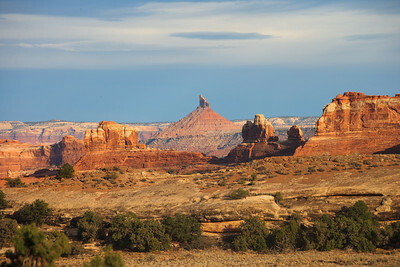 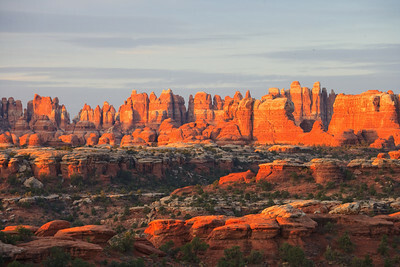 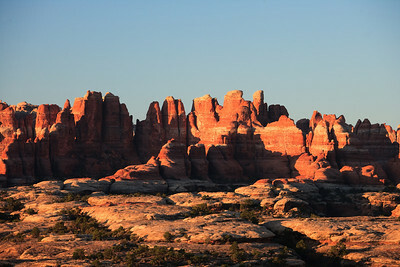 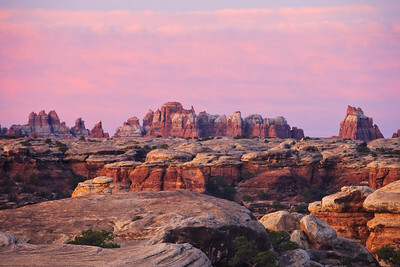 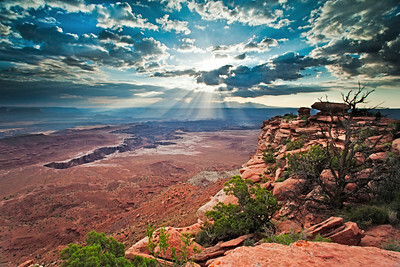 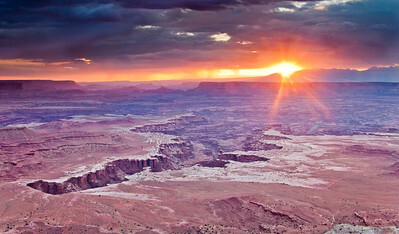 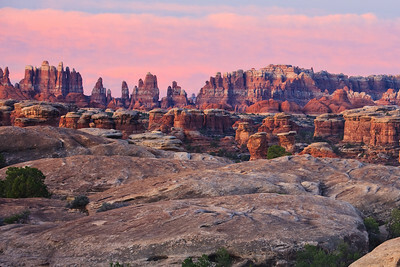 Sunrise from Pothole Point, Needles District of Canyonlands National Park. 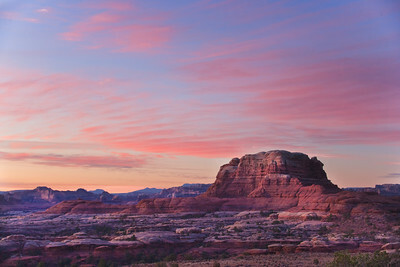 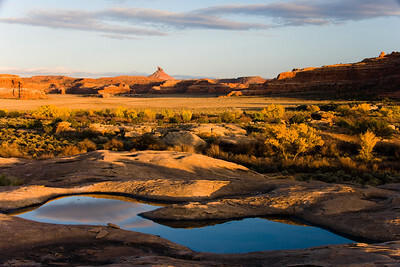 Sunrise and mesa near Elephant Hill. 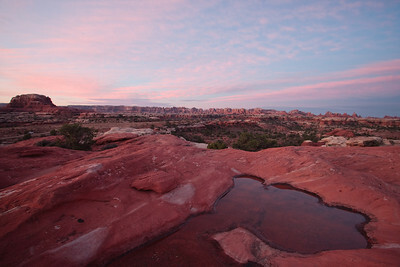 Pothole at sunrise looking toward Elephant Hill. 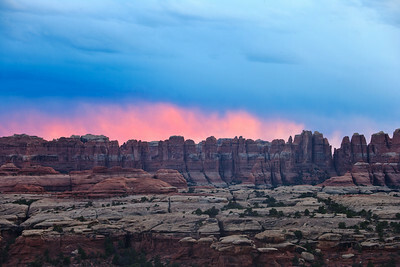 Blazing cottonwood trees and freshly filled potholes reflecting clouds at sunset from Cave Spring trail. 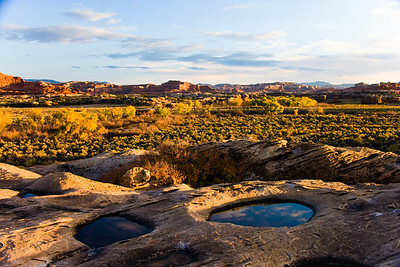 Blazing cottonwood trees and freshly filled potholes at sunset from Cave Spring trail. 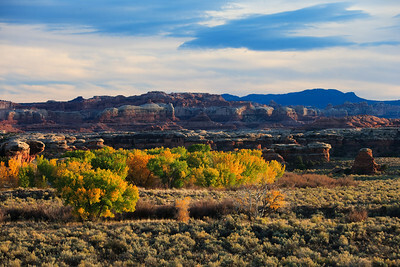 Blazing cottonwood trees at sunset from Cave Spring trail.